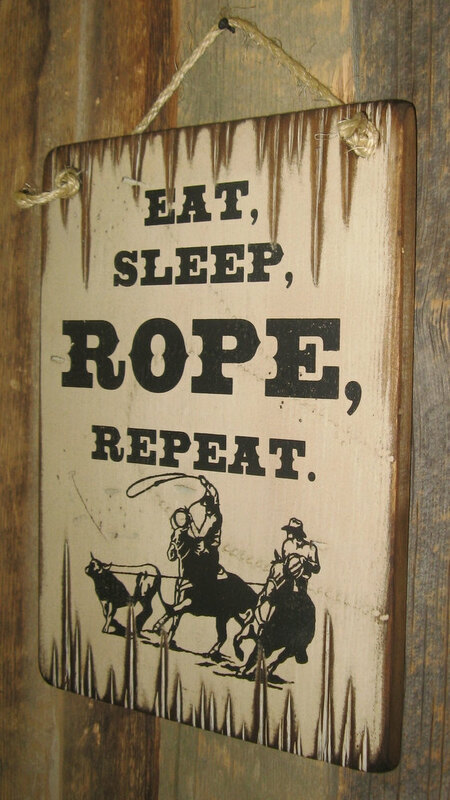 Eat, Sleep, Rope, Repeat. 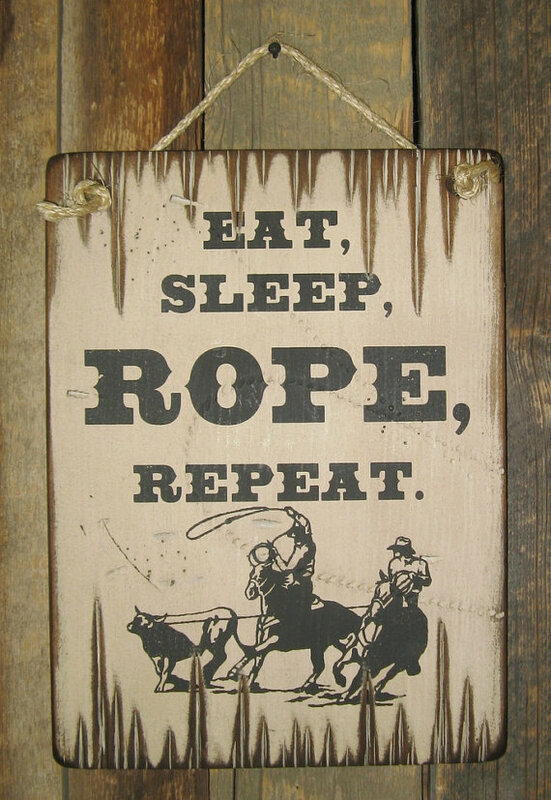 This is the perfect gift to get that person in your life that can’t seem to get enough team roping in! Sign measures 11×15 and has a white background. 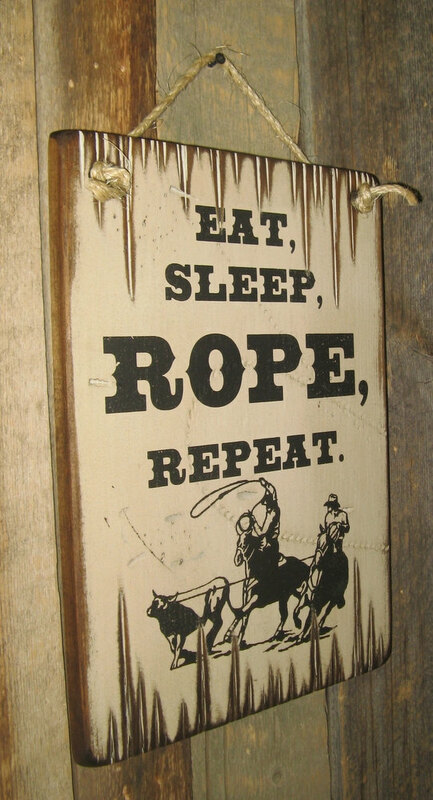 Sign comes with the grass rope hanger for easy hanging. Handcrafted with pride!